New! 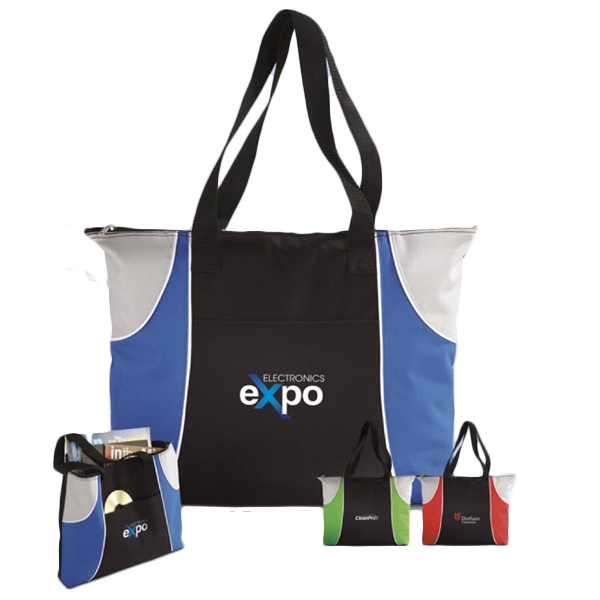 The Sleek Tote made of 600 denier durable polyester fabric with color blocking and piping has a unique, eye-catching design. Large front pocket. Durable polyester webbing handles. Available in three popular colors. Extra large 17″ width. 12″W x 17″H x 6.5″D.